The newest pictures from NASA’s New Horizons spacecraft have researchers shocked – not only for their magnificent views of Pluto’s majestic icy mountains, streams of frozen nitrogen and poignant low-lying mists, but also for their oddly familiar, arctic look. This fresh view of Pluto’s crescent -- captured by New Horizons’ wide-angle Ralph/Multispectral Visual Imaging Camera (MVIC) on July 14 and sent to Earth on Sept. 13 -- provides an oblique look across Plutonian lands with intense backlighting from the sun. 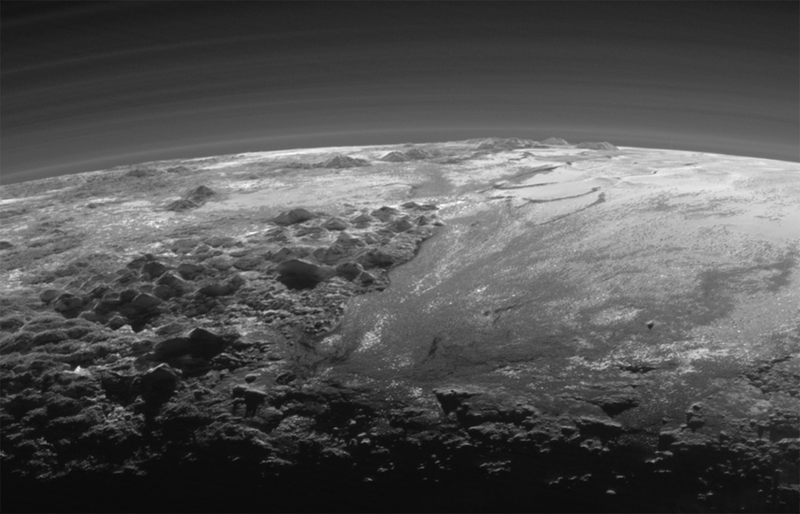 It outstandingly highlights Pluto’s diverse lands and long atmosphere. 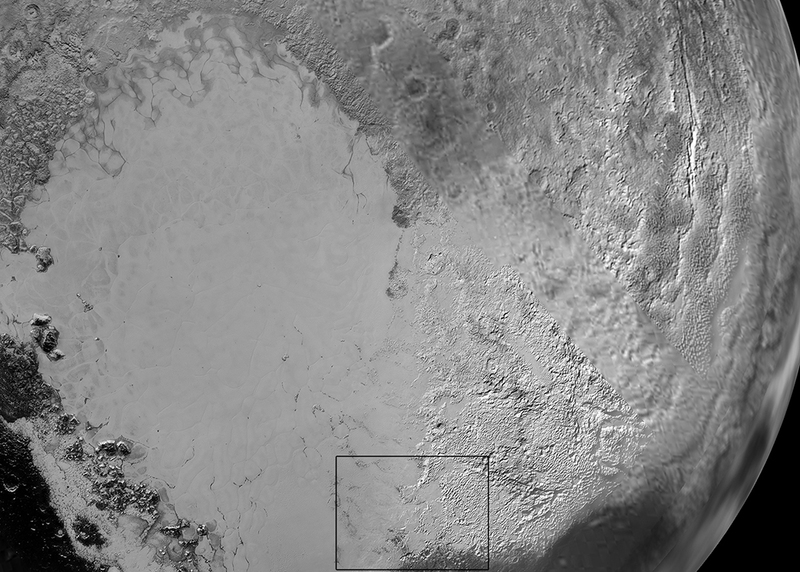 The sight measures nearly 780 miles (1,250 kilometers) across. Learn more about these newly released images here.